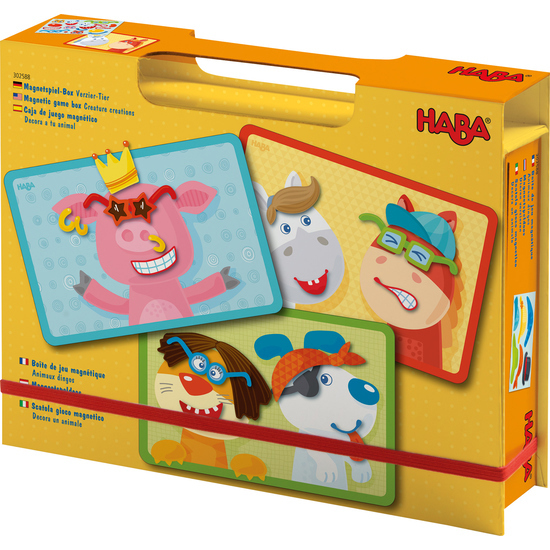 This magnetic game box inspire children to adorn their animal every which way. Dog, cat, pig and horse can be made cheery, nutty or grim, or whatever their fantasy dreams up. Tickling accessories such as sunglasses, moustache, hat, etc. provide endless variations and hours of creative fun! Contents: 1 box, 3 background images, 4 perforated cards with 51 magnetic ornaments.